Prominent & Leading Manufacturer from Coimbatore, we offer shell tube heat exchanger, u tube heat exchanger, heat exchangers, industrial shell tube heat exchanger, pipe heat exchanger and finned tube heat exchanger. We are among the leading names in the market that are engaged manufacturing and exporting Shell Tube Heat Exchanger, we utilize the latest in modern metal forming and cutting equipment to ensure complete adherence to dimensions and close tolerances. The variety of drilling equipment used is numerically controlled to meet the accuracy required. 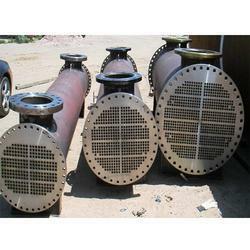 Our Shell Type Heat Exchangers are the most common type heat exchangers used by various industries. The thermal and mechanical design of Shell Tube Heat Exchanger makes it widely appreciated. 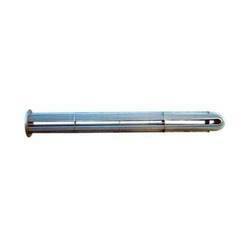 We Premier Engineering Works are among the prominent manufacturers and exporters of U Tube Heat Exchanger. 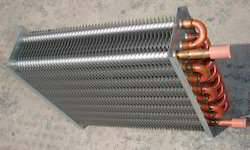 We offer heat exchanger in U tube that is used for industrial heating and cooling applications in several industries. our heavy duty "U"-Tube heat exchangers have built-in protection against damages caused by the inherent forces which occur during heating and cooling as the vessel thermally expands and contracts.These can be manufactured according to our client's requirement. 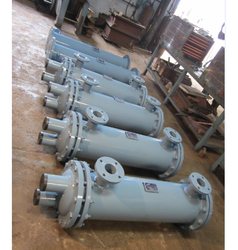 We are offering wide range of Heat Exchangers for Railways. 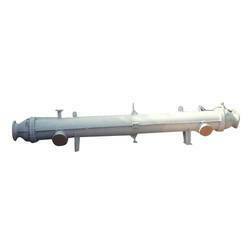 We are manufacturer, exporter & retailer of Industrial Shell Tube Heat Exchanger. These are extensively demanded for their mechanical and thermal design which ensures its smooth functioning, high performance, longer functional life and power efficiency. 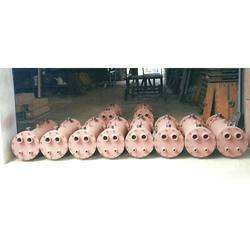 Ours is a reputed organization, which manufacture and export Pipe Heat Exchanger. A standardized process is followed for their manufacture. These are made available in multiple colors and dimensions as per the requirements of the customers. Manufactured using cutting edge technology, our Industrial Heat Exchangers is available in the market at the most competitive market. We are offering our clients with a wide range of Finned Tube Heat Exchanger that is available for various These are used in various industries for heating continuous flow of air to required temperature by using steam as heating media. Further, these can also be made in higher capacities as per the specifications detailed by the clients. Air flows 500 CFM to 50000 CFM and with heating temperature starts from the 50oC to 120oC in normal case. Looking for Shell and Tube Heat Exchanger ?